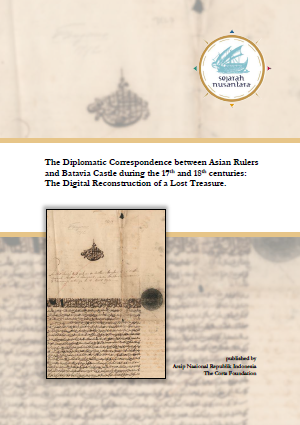 On March 10th 2015, Mr. Mustari Irawan, Director General of the Arsip Nasional Republik Indonesia and Mr. Joan Snellen van Vollenhoven, secretary of The Corts Foundation, signed a document to declare the official transfer of more than 300.000 digital scan images of the Daily Journals of Batavia Castle and the Resolution Books from TCF to ANRI. These images are transferred from The Corts Foundation to ANRI under the Memorandum of Understanding of both parties for the first period of 2011-2014. The DASA project of TCF/ANRI continues today with the scanning and publication of the archival series of the Addenda to the Resolution Books (so called: 'Bijlagen bij de Resolutieboeken'). 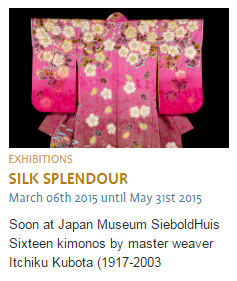 From March 6th until May 31st 2015 the Japan Museum 'SieboldHuis' will house the exposition 'Silk Splendour. Kimonos from the Kubota Collection' (Dutch: ‘Zijden Pracht. Kimono’s uit de Kubota Collectie’). Sixteen showpieces by Itchiku Kubota are shown, each about two meters high and one and a half meters wide, can be admired in all its detail. Fourteen of these pieces are shown outside Japan for the first time. The Corts Foundation is sponsoring the exhibition with a donation. At the same time the Japan Museum 'Sieboldhuis' shows textile exhibitions by 'Windkracht 10' and amateur artists of 'Stidoc, responding to the Sybold collection. Japanmuseum SieboldHuis is located at the Rapenburg 19 in Leiden, the Netherlands, and open from tuesday to sunday from 10:00 - 17:00 hours. For more information see www.sieboldhuis.org . The project about the 'Diplomatic Letters' that is part of the TCF-project 'Digital Archive Systems at ANRI' resulted in eight articles that are written about these unique letters. These articles are bundled now and published online. The articles represent the nature of the more than 4300 letters that were sent to Batavia during several decennia, and some of the answers to these letters. The eight letters that were selected are documented extensively and introduced scientifically. The Dutch texts in the original handwritings are translated into Indonesian and English to be accessible for a broad international audience. A full text searchable index of the so called 'Plakaatboeken' has been created by the Corts Foundation and ANRI. For the first time this is published online. 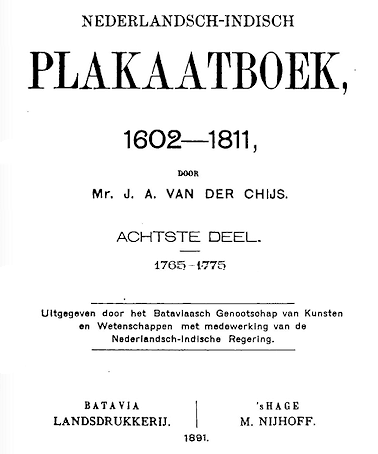 The index contains over ten thousand entries referring to the seventeen volumes that were published in print in the 19th century by the Bataviaasch Genootschap. Many of the decrees or ‘plakaten’ (placards) were issued in public and nailed to the door of the Town Hall (Stadhuis) or other such visible public places in the 17th and 18th century. Most of the placards were meant to regulate the markets, public leases, institutions, population (most notably the Chinese) and public civil behaviour of Batavia. A number of other placards concern regulations for VOC personnel, trade, maritime matters, repatriation and salaries.